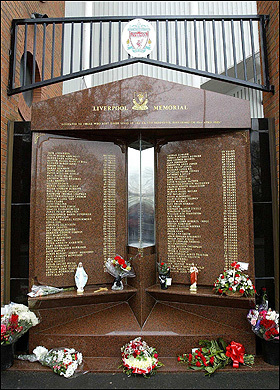 15th April this year marks the 25th anniversary of the Hillsborough Disaster and fresh inquests began this week in Warrington after the original verdicts of accidental death from March 1991 were quashed. The campaign for justice for the 96 supporters who died in the Leppings Lane part of Sheffield Wednesday’s ground that day has been long and at times complicated. With a quarter of a century having elapsed, it is important not to lose sight of the individual stories that make up one of the world’s worst footballing tragedies. Below we re-tell, in their own words, some of the stories from relatives and friends from that appalling day. These accounts are harrowing and difficult to read. While that warning is given, no apology is made for the content. 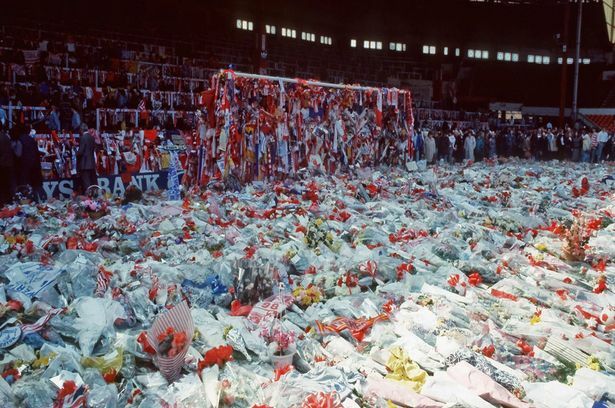 For those who attended matches regularly back in the late 1980s, we remember the crushing that was common both trying to get in and out of grounds and on terracings also. Often it was only the good sense of supporters, aware of potential dangers, which avoided crushing getting out of control. Those supposedly in charge of crowd control were often nowhere to be seen or only interested in dishing out orders or abuse to fans. The people responsible for all those deaths continue to evade justice. Ninety-six lives including a 10 year boy, a 38 year old mum, two men in their sixties were extinguished that day. 78 of the 96 victims were under 30 years old, 38 aged 19 or less. Some people – policemen, politicians, journalists and others – actively conspired in the cover-up of the deaths that followed. These stories help ensure that their actions – and inaction – will never be forgotten. The day of reckoning draws closer for them. Read the stories below. And read about the campaign itself. 25 years gone. Never forgotten. I can get through the 15th April , the memorial takes up time , going to the Cemetery takes up time , My Family take up my time But when the nightime comes , everything comes back to haunt me. I’m on my own. That night after arriving back from Sheffield that day at around 8pm After hours of waiting in the house , phoning emergency numbers ,phoning hospitals etc ! I decided I had to do something , so along with a very dear friend of mine (Peter) I headed into town , heard there was transport to Sheffield free that night leaving from Hatton Garden , Getting down there we couldn’t see a thing , so I headed to Radio City in Stanley Street to see if they could do anything for me . The Taxi seemed to take an age to get there , once in Sheffield we headed for the Hospitals , The Northern General & Hallamshire are the ones I went to if I remember rightly . 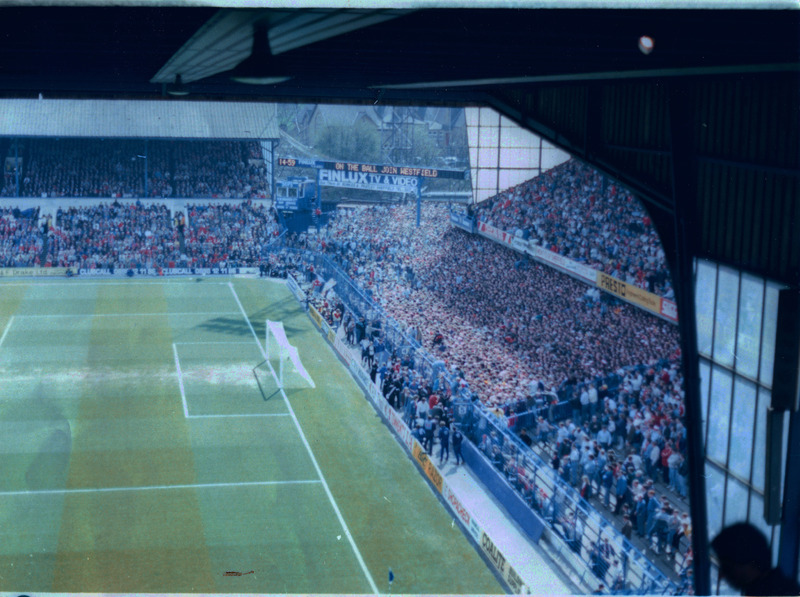 I was told to go back down to Hillsborough Stadium, It was about 4am on the 16th , to see the police there. Well alls I remember now , is that I ended up in a side room to what I know now to be the gymnasium. Well then I had to sit down , be interviewed , Now I was in No fit state to be interviewed at this time , being asked if he’d had a drink and all that shite was already in the mindset of the Police. The scapegoat was there. And that scapegoat was me & my dead brother. My Dad then got on , and told me to make sure I got back home safely . The Taxi ride home , there is nothing i remember about it , I remember arriving home though and I gave the Taxi driver £20 quid for his help ( a couple of days later he returned it !) , thanked Peter for his help , and went into my house , My Mum and Dad were still up , It was nearing 7am by this time We all just sat there in disbelief , empty & alone with our own feelings . 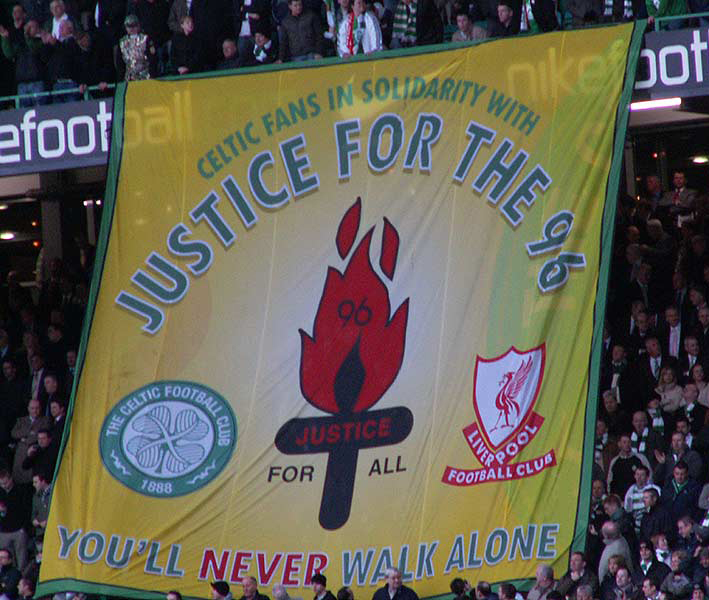 YOU’LL NEVER WALK ALONE — JUSTICE ! Nicola Stewart attended the game in the company of her boyfriend and other friends. She gave the following witness statement to police in April 1989. I watch Liverpool playing at home but have never been to an away game previously. When I saw the crowds initially I wasn’t frightened but when we had gone through the outer perimeter and were trying to get through the turnstiles then I did start to become frightened. I couldn’t move at all my hands were pinned to my side, I seemed to be swaying with the crowd my feet were pinned in one position, I was screaming and all around me people were screaming because the pressure was so unbearable. I was gasping for air but there was nothing there, I wasn’t able to expand my lungs because of the pressure we were all suffering from. I could feel myself passing out, I actually thought that was it. Keith, David and Arthur were saying ‘keep your head up, don’t give up”. I thought that I was going to die, the experience is the most frightening experience I have ever been through in my life. The three boys behind me were gone, they were dead, my nose was pressed against one of the boys who was dead. They were only about 16 or 17. We shouted to the police for us. They ignored us at first, I can’t understand why they didn’t do anything. I thought after 23 year I might be able to deal with the findings of the Hillsborough Independent Panel Report. I thought I had my feelings under control and could take it in my stride. I couldn’t. I was one of the lucky ones. The report showed that dozens of people could have been saved if they had been treated correctly at the scene. Mine was saved by the selfless quick actions, and disregard for the policeman who pronounced me dead on the pitch, of a few fellow fans, who pushed me over the fence, gave me mouth to mouth and carried me unconscious out of the ground on advertising hoardings. They got me into an ambulance and I was taken to hospital. I have never met any of them. I was in touch with one lad once, but he was too traumatised to meet me. They, and everyone else there that day, should be proud of their actions. They have suffered horrifically since through no fault of their own. For those who were responsible, took no blame and spent 23 years lying, shifting blame and treating the dead and their relatives with utter contempt. I hope they are truly ashamed and disgusted with themselves. And I hope they experience some of the horror and guilt they’ve been so willing to pile onto others for the past 23 years. The Hillsborough Justice Campaign group’s chronology of how the disaster unfolded and the causes. Information on their specific campaigns and how to help. The fight continues. Details of the ninety-six people who lost their lives that day. Reblogged this on The Celtic Footsoldiers.